Looking for golf lessons | tuition in North Wales? This is the future of Golf Tuition! Buy vouchers for you loved ones and help them improve their game. Vouchers can be done online so shop from the comfort of your home. Watch a video of me suited up in our swing room explaining one of our many great services. 17 body sensors attached to your body which monitors absoultley everything. 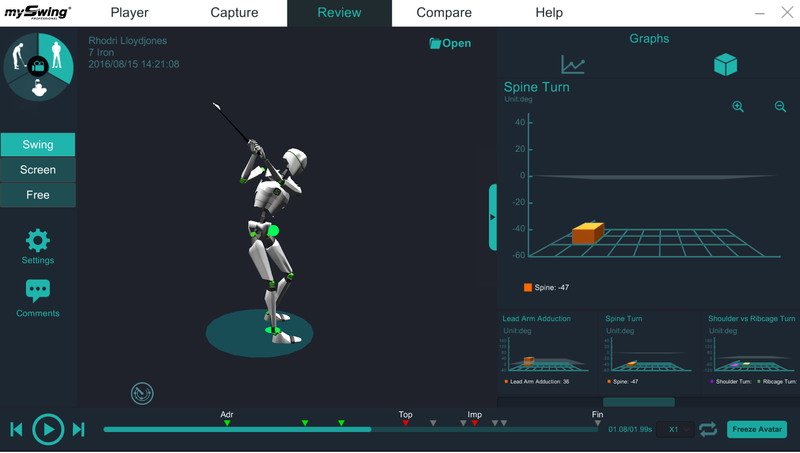 It is like a MRI scan for your golf swing. We can measure things that the eye can’t see which gives us the information for powerful changes to your game.